Our product range includes a wide range of z type bucket elevator, pneumatic conveying system, electromagnetic vibratory feeder, horizontal screw conveyor and bucket elevator system. We offer our customers a wide assortment of Z Type Bucket Elevator. These elevators are ideal for handling goods demanding extreme perfection and smoothness in running. We provide this bucket elevator in different specifications to meet the needs of our valuable clients. Our offered product is highly demanded in the market for its easy chain adjustment and high efficiency. The product is available with a feed rate of 500 kgs /hr to 5000 kgs/ hr with a discharge height of 2 meters to 20 meters. 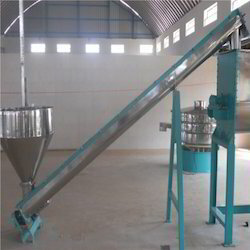 Pneumatic Conveying System ensures dust free operation. 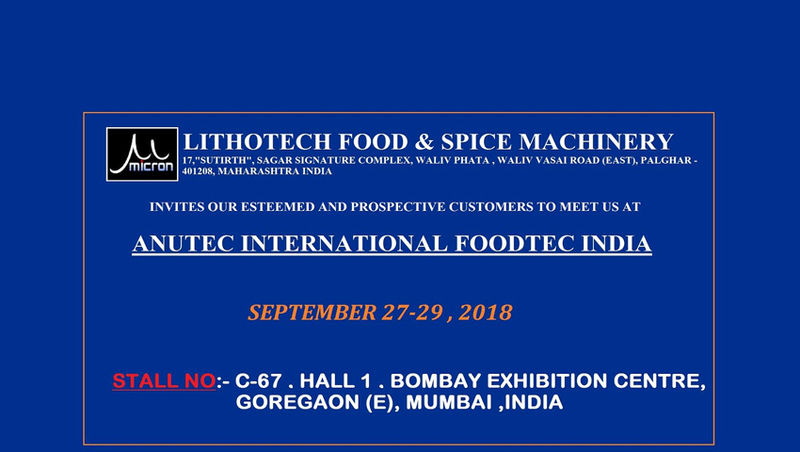 Due to continuous air circulation, the temperature of the pulverized products remains under control thereby retaining the vital properties of the product especially spices.Pneumatic Conveying System reckoned as leaders in this industry, we are providing our esteemed clients with excellent quality Pneumatic Conveying System. The offered system is manufactured using high-grade raw material and contemporary technology by our skilled experts. We assure our clients that our range is quality tested on predefined parameters, in order to meet international standards. Apart from this, our prestigious clients can avail this system, as per their needs at highly competitive price. Backed by consistent efforts of our dexterous professionals, we are engaged in offering an optimum quality Electromagnetic Vibratory Feeder The offered conveyor is widely used for conveying, loading, and unloading applications. It is equipped with electromagnetic timing and the frequency converter that help in controlling the speed of the belt. Our patrons praise this conveyor for its high durability and steadiness. We offer this conveyor to our valued customers at rock bottom price. 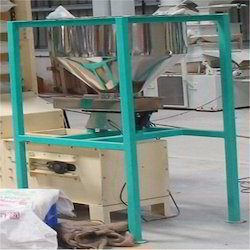 The vibratory feeder is best suited for feeding free flowing granules and powders at a very uniform rate. It comes with a control pot for adjusting the feed rate as per requirement. Our company has gained expertise by providing a supreme quality range of Horizontal Screw Conveyor. 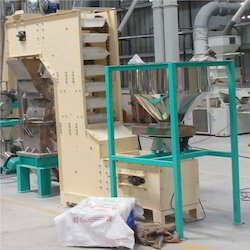 These conveyors find its usage in different industries. These are available in various specifications to meet the diverse requirements of the clients. Our offered conveyors are pre-tested on various parameters to meet the latest industrial standards. This product is designed using premium quality components and latest cut edge technology. It is available at rock bottom price to our valuable clients. Being a quality-centric organization of this industry, we are engaged in providing a wide array of Bucket Elevator System. The offered product is designed with utmost precision using premium quality raw material and modish technology which is in accordance with the set industrial standards. Moreover, clients can avail these elevators from us at a nominal price.